Situated in the heart of city at Anna Salai (Mount Road) near to Thousand Light metro station the ibis Chennai City Center is 20 minutes by Metro from the Airport. Chennai central and Egmore railway station are just 5 mins away while T Nagar, Marina Beach, Chepauk Stadium, Chennai Port, business districts of Nungambakkam, Egmore, Parry's, Teynampet, Mylapore and Alwarpet, are in close proximity. The hotel is minutes away from the US Consulate and Sankara Nethralaya. 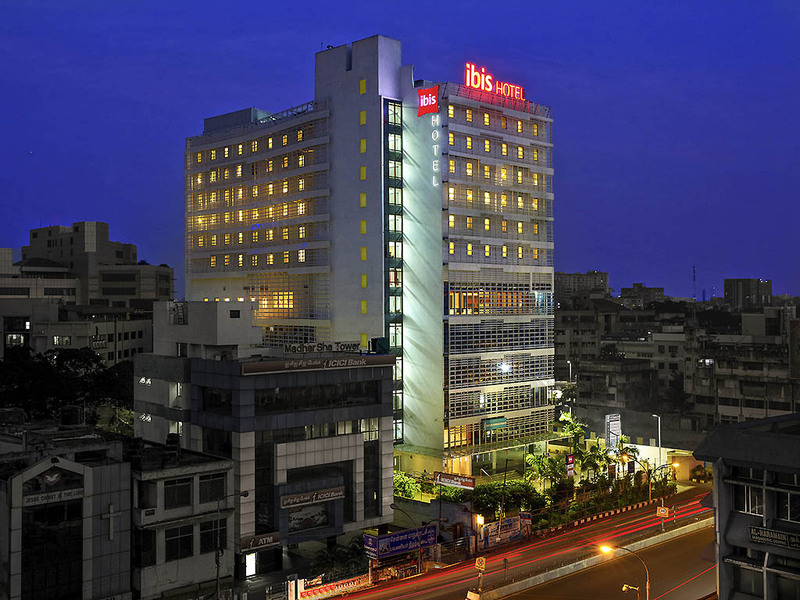 ibis Chennai City Centre is ideal to visit historic temples, beaches, music academies and concert halls. The shopping centre is famous for Kanchipuram sarees, jewellerry as well as international brands making it a shopper's haven. Your sleep is our priority in 155 modern, sound proof rooms with big fluffy pillows, super-soft duvet and high-tech mattresses that align with the density points of your body. The new Sweet Bed by ibis is difficult to leave! Unwind with your favourite drink, cocktail, soft drink and a light snack at The Hub, an ideal place to relax or have small meetings. Complimentary WiFi is available.